Staying in Keizer was a top priority for Terry Ricker once he learned keeping Mr. Video and Games would not be able to stay in its Schoolhouse Square location. There were many reasons, but the most heartfelt one was the result of his reception when he moved the shop from north Salem into the heart of Keizer. “The mayor came, members of the Chamber of Commerce came and other local businesses, too. We were just received so well,” Ricker said. The Schoolhouse Square building that currently houses Mr. Video will be razed to make room for a new building already under construction. A coffee shop and sandwich shop will share the new building at Schoolhouse Square. Ricker considered locations along north Lancaster Drive, he negotiated with property owners at Creekside Shopping Center for months before the deal fell through, but he’s settled on a new location just down the street in Keizer Village Shopping Center, 3826 River Road N. – between Subway and Kolby’s Restaurant Bar & Billiards. The current location will remain open until Oct. 30, and Ricker hopes to be set up in his new digs for an opening on Nov. 4. The new space is considerably smaller, and won’t fit his Limeberry business-in-a-business frozen yogurt shop, but he hasn’t shuttered it completely either. Limeberry has already closed in the current location, but Ricker was salvaging as much of the “storefront” as possible earlier this week. “We’re hoping to find some place else in town for Limeberry, but we have to wait and see what opens up,” Ricker said. While pulling up stakes for any business is a chore, video stores’ bread-and-butter are their catalogues of older titles. 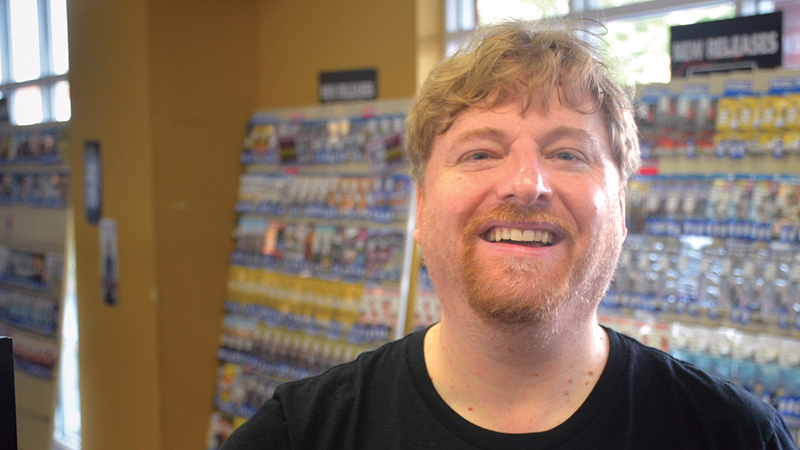 “Video stores are like a bookstore or a library, most of the books in the library won’t get checked out for years and years, but people go in and expect to find what they are looking for,” Ricker said. Streaming services are great for some things, but if you want to binge watch the entire Bruce Willis oeuvre or marathon all of the Alien movies, you’re going to need them in your home collection, or you’re going to need a video store. “I was kind of mapping things out and we’ll lose about four shelving units, but we’re going to have a lot more wall space,” Ricker said. Other than Mr. Video, the closest dedicated video rental store in the mid-Willamette Valley is in Woodburn. Ricker said the business benefits from being something like a destination store. One recent new member walked in after getting a job in Salem, the person lives in Independence, Ricker said. “Maybe 15 to 20 percent of our business comes from further out, but most of it is right here in Keizer or very close to it,” he said.